I’m an aspiring journalist and I got the opportunity to attended Capitol for a Day in my hometown on Sept. 26. I believe Capitol for a Day is an important day for Gov. Butch Otter and his colleagues. Many of the issues that need to be addressed can be fixed at the meeting. I had the opportunity to see this process up close and speak directly with Otter. 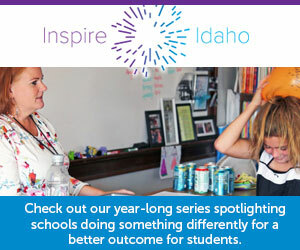 I believe education in Idaho is important. Sometimes I wonder what will happen in the next year of my education. I had the opportunity to ask Otter questions about my future in education. What are your thoughts about K-12 education as your perspective as governor? How is education changing in Wilder? Can you give me an example of a goal you set for teachers? Why is it important for students to graduate? This was a learning experience. I now feel more informed on how education works in my hometown. Written by Jorge Garcia, an eighth grader at Wilder Middle School.